The banks of the Seine slid quietly by. Under the grey sky, the late afternoon light diffused softly across the skyline of Paris, leaving the City of Light shimmering above the water. Near the Ile de la Cité is the perfect place to begin a river cruise, for the history of this flood-prone island is the history of Paris. Celtic tribes settled here over 2000 years ago, including the Parisii (who gave the city her name). 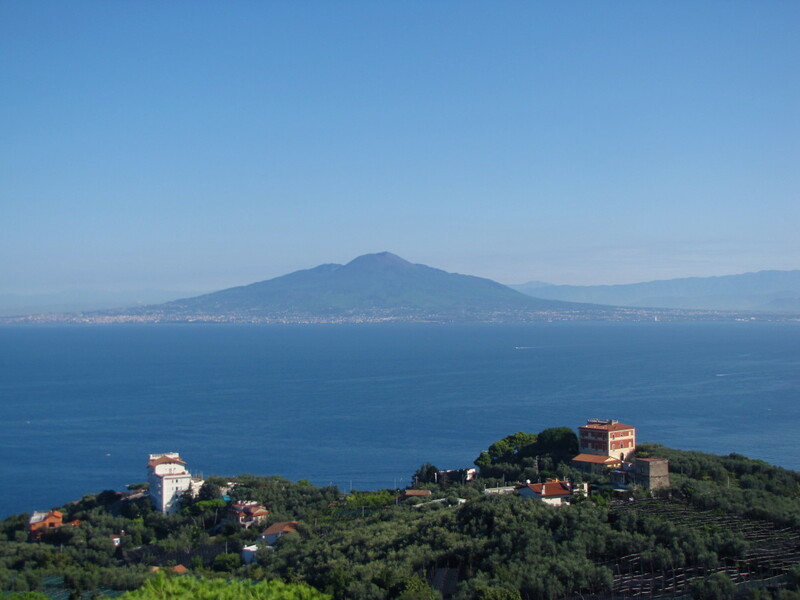 Julius Caesar made his camp on the island, and future Capetian kings built their palace here. By Medieval times the island had become the religious and legal centre of Paris, yet within in the warren of tumbling buildings and secret alleyways were places neither gendarme nor soldier would venture. Our bateau left the quay, and immediately the Gothic towers of Sainte-Chapelle rose above the Palais de Justice, the old royal palace until the 14th century. Next came the perfect architecture of the Préfecture de Police, before the gargoyle encrusted battlements of Notre Dame looked down on us. 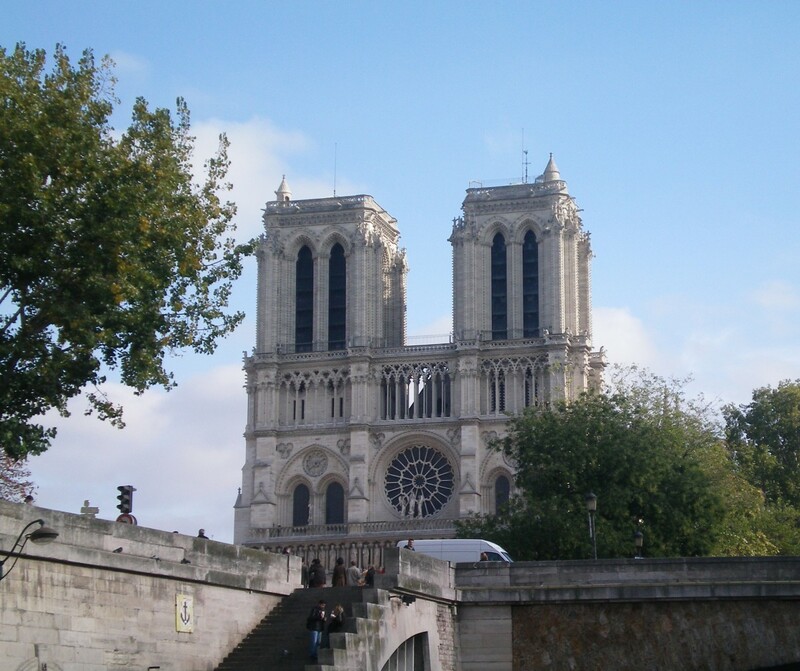 Once a welcome sight to pilgrims, for the modern visitor this cathedral is synonymous with Paris; seeing it as you glide by on the water gives a whole new perspective. The crowds, the noise, the queues, the souvenir touts: all vanish, leaving behind a majestic building sailing past on a boat-shaped island. This is the secret delight of a bateau cruise on the Seine. Although the guides give a running commentary (in multiple languages) of the passing buildings and sights, the magic arises from simply sitting back and watching Paris unfold before you. 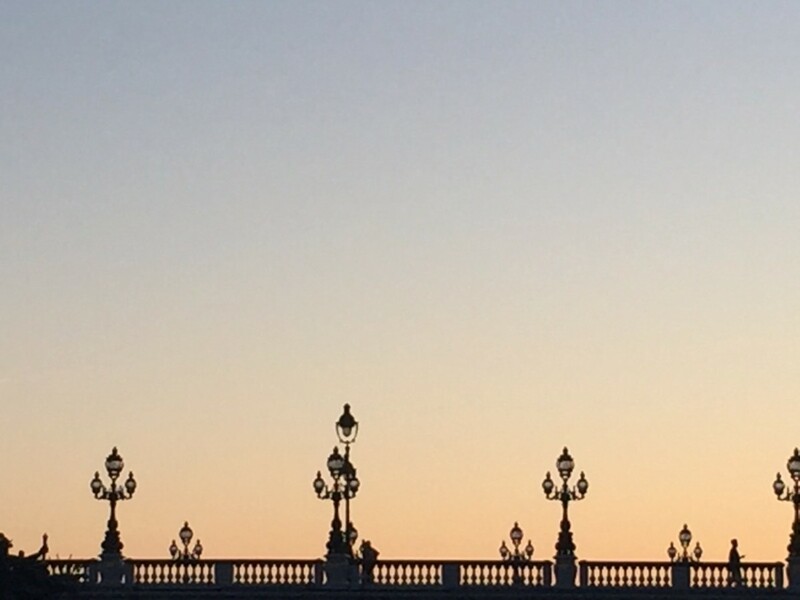 The symmetrical beauty of her buildings, the tree-lined quays, the first glimpse of the Eiffel Tower, the wide sweep of the parks running alongside the water, locals strolling along the water’s edge, artists setting up their easels, lights coming on as dusk falls: it is a perfect introduction to the city. Paris was founded on the water, and the Seine has always marked her physical and emotional heart. The city’s seal, dating back to the 1200s, features a merchant riverboat balancing on turbulent waves. Most of her major monuments and buildings overlook the water, and the river divides the city into the Right and Left Bank. Distances and are measured from the river, and even street numbers are determined by it. As in Medieval times, a multitude of craft still bustle up and down the Seine throughout the day. 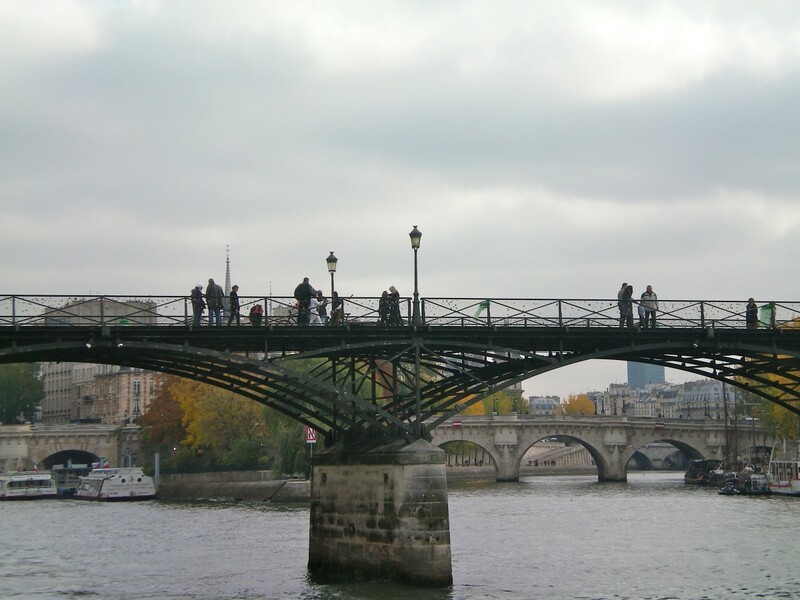 Aside from the variety of bateaux offering tours, there are merchant vessels, pleasure boats, even houseboats, plus the numerous Batobus, a shuttle boat which is literally the public bus of the Seine. After the Pont du Sully our bateau churned a u-turn and headed back around the islands, only this time cruising along the Right Bank. 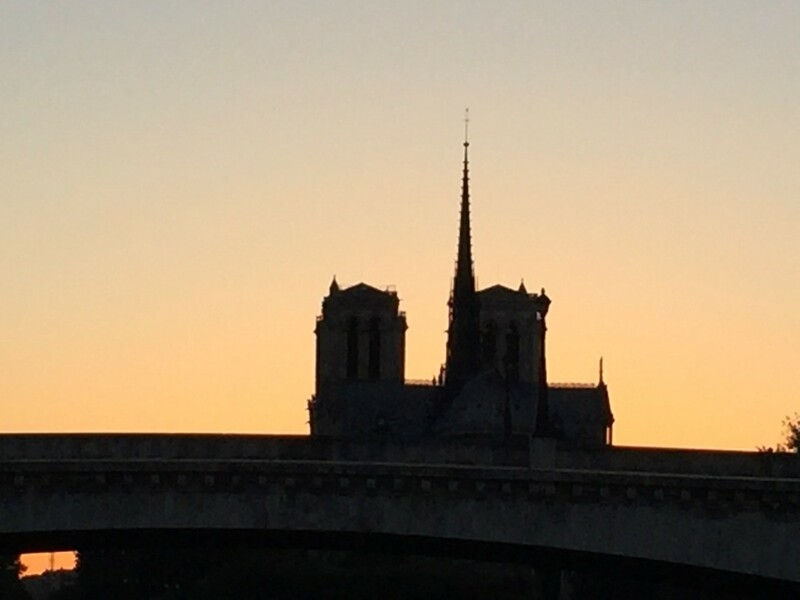 The towers of the Notre Dame still dominated the skyline. Just beyond it is the city’s oldest hospital. 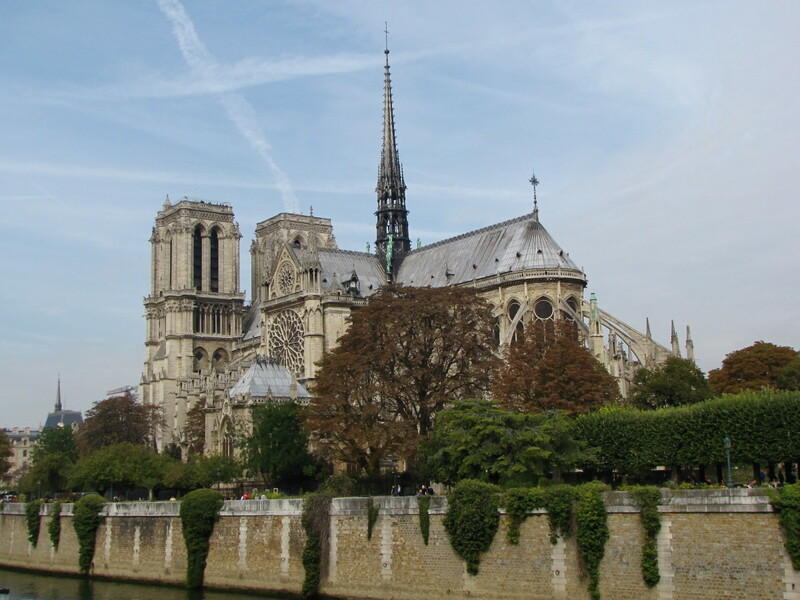 Founded by Saint Landry in 651 AD, the Hôtel-Hopitel Dieu still cares for ill Parisians, plus offers a few rooms for guests which offer an unparalleled view of the cathedral. On the western end of the island is the Concierge. 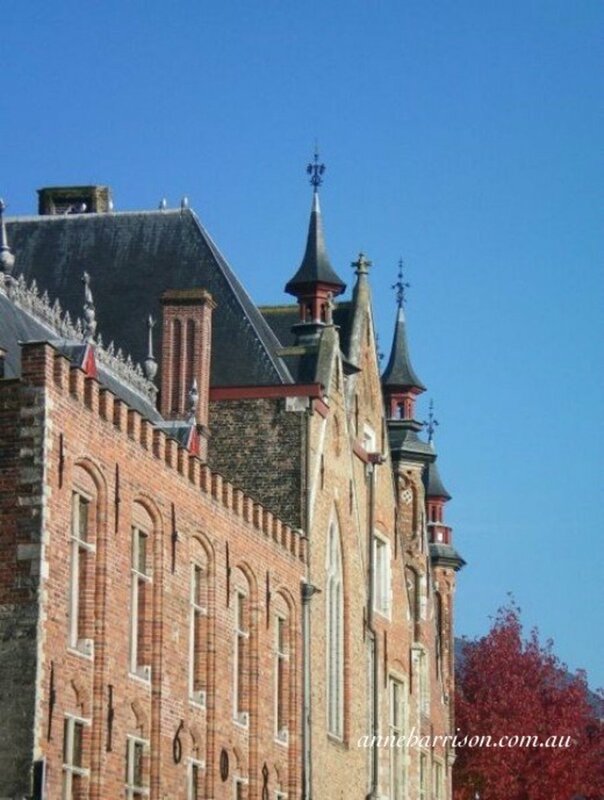 Once part of the Capetian palace, it became notorious prison during the Revolution. Marie Antoinette was kept here in a small cell as she awaited her fate. Passing under the cast-iron Passarelle des Arts leads to the splendour of the Musée du Louvre and Les Jardins des Tuileries. Opposite, on the Left Bank, is the Musée d’Orsay, home to a staggering array of Impressionist Art. (The grand arches of this converted railway station are best seen from either the Right Bank or from the water.) Along this historical section of the river is housed some of the world’s greatest art. Once the world’s largest royal palace, the Musée du Louvre dominates this stretch of the river with just one wing. 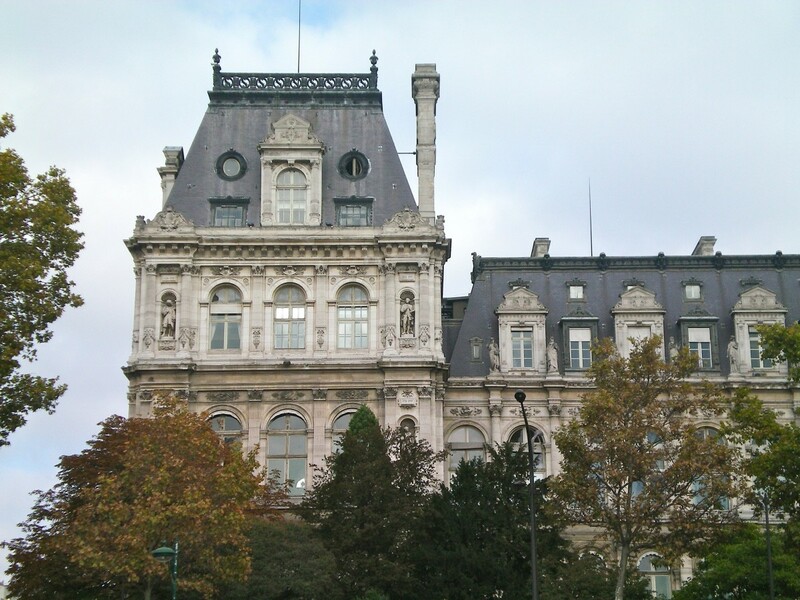 This is the Denon Wing, begun in the reign of Henri IV. The Place de la Concorde is the gateway to the Napoleonic Era and the Industrial Revolution. Le Grand Palais and Le Petit Palais are graceful art nouveau buildings designed for the Universal Exhibition of 1900 (the Eiffel Tower was built for the Exhibition of 1889). 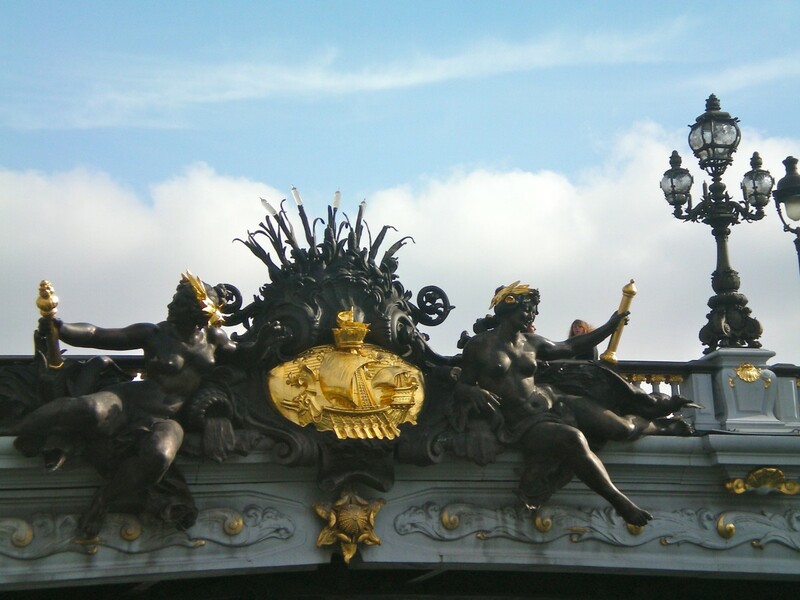 Between them is Pont Alexandre III; with its flamboyant cherubs and ornate statues, it is often described as the most beautiful bridge in Paris. Opposite, on the Left Bank, a long parkway leads to the Hôtel des Invalides, originally built by Louis XIV as a military refuge for his sick and homeless veterans. The golden dome of the Eglise de Dôme, now the burial site of Napoleon can be seen rising above the city. More than half a dozen companies offer tours along the Seine, from small boats to the large glass-enclosed bateau-mouches. Booking is usually not an issue. These may be a simple hour-long cruise with commentary to a spectacular flood-lit nighttime cruise. There are also some half-dozen different starting points along the river. Using the official Paris tourist website makes it easy to compare prices. On the pedestal of the central pillar supporting the Pont de L’Alma is the Zouave, a statue of a soldier which is used to measure the height of the Seine when the river floods. At the end of the bridge, on the Right Bank, stands the Liberty Flame, built in memory of those who fought in the French Resistance in WWII. It has also become the unofficial memorial site for Lady Diana, Princess of Wales, who died from a car crash in the tunnel below the bridge in 1997. Then the river bends, giving glimpses of the Eiffel Tower. Although this landmark can be seen across the rooftops from almost anywhere in the city, one of the best views is from the water. Despite being an image known across the world, it is stunning to see for the first, or twentieth time, whether by day, or when illuminated at night. The bateaux then continued a little further upstream, turning around the Pont de Grenelle. At its western most point, and facing New York, is a statue of Liberty, given to the city in 1885. The boat then pottered back the way we had come, along the Left Bank. Evening was falling, and a cool breeze refreshed us. Lights were coming on all over the city. As we went downstream I felt we were floating back in time, Gustuve Eiffel’s creation which for the past century has greeted the modern world with an almost arrogant confidence, through the time of Napoleon to the court of the Sun King. 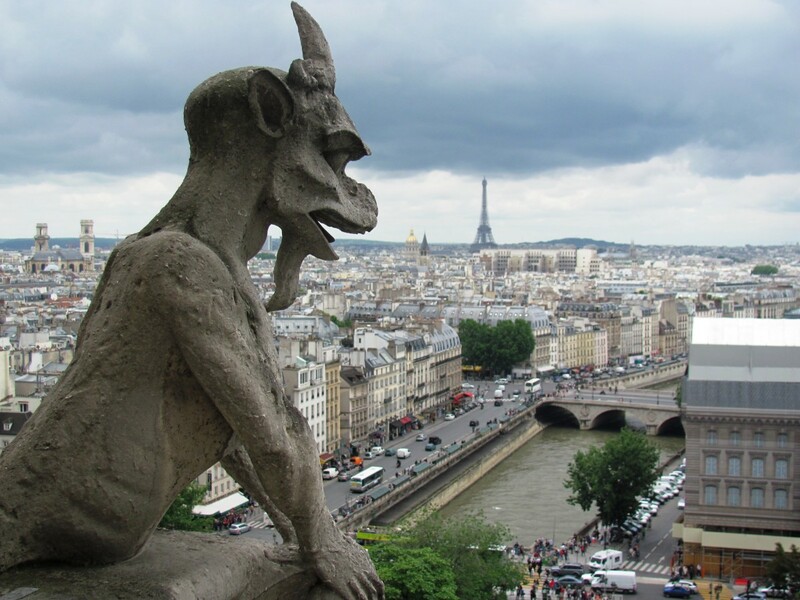 Then the sight of the Eiffel tower was replaced by the towers of Notre Dame, and we alighted in the Latin Quarter, the heart of Medieval Paris. Thank you so much Liz, so glad to bring back such lovely memories. 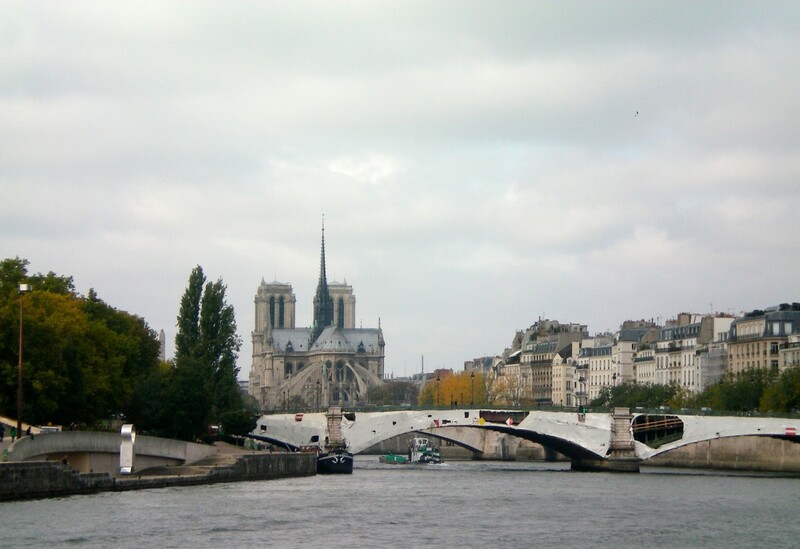 A boat trip is a great way to see Paris. This brought back great memories of boat trips in Paris in years gone by. We , too, took a boat cruise of the Seine. Your article really took me back. Thanks for presenting Paris in totally new and original light. This city is still on my to-do list and your approach definitely made it even more attractive. I've never caught the Batobus but hope to do so next time (there's always a next time). There's a similar service in Venice which is much cheaper to a gondola! I'm glad you enjoyed my hub. Lovely photos and you brought back many memories. 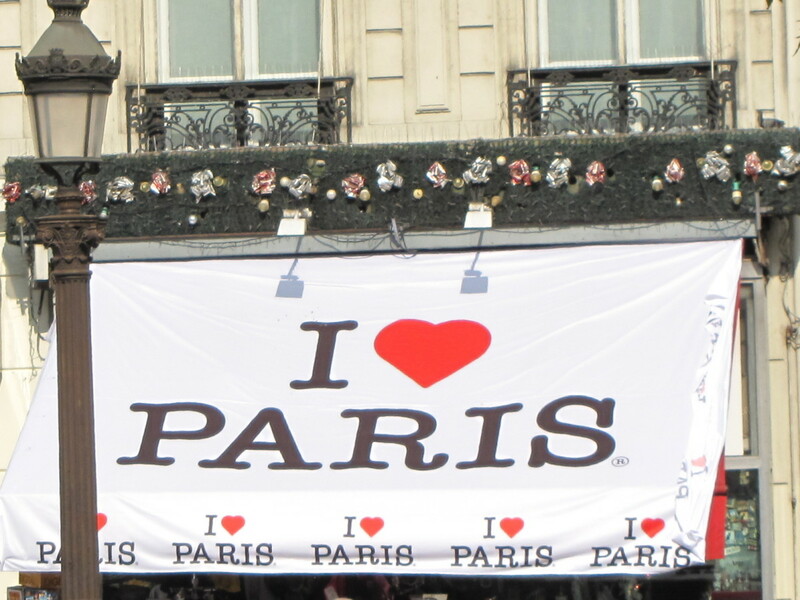 I did a similar trip with my granddaughter a few years ago and I've just got back from a weekend in Paris with a friend. We 'did' the Louvre and the Musée d'Orsay, the latter being absolutely fabulous, not only because of the building but because I adore the Impressionist paintings. We travelled up and down the Seine by Batobus, a sort of ferry that just goes round and round from the 'Jardin des Plantes' to the Eiffel Tower and back, anticlockwise. It's cheap and it runs every 15/20 minutes. We also walked our socks off! Interesting hub and useful for future tourists. 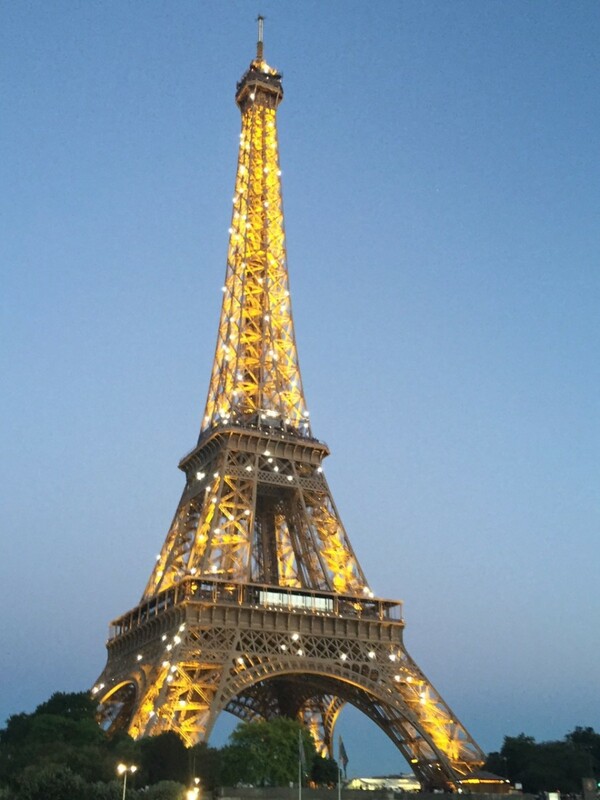 Wow just so beautiful what a beautiful City is Paris what trip for Lucy and you i bet you can't wait to get back to Paris I just don't know which City would be more beautiful and romantic Paris Florence or Venice? They are all amazing cities. Oh I am sure it was a magical time! I look forward to reading more from you. 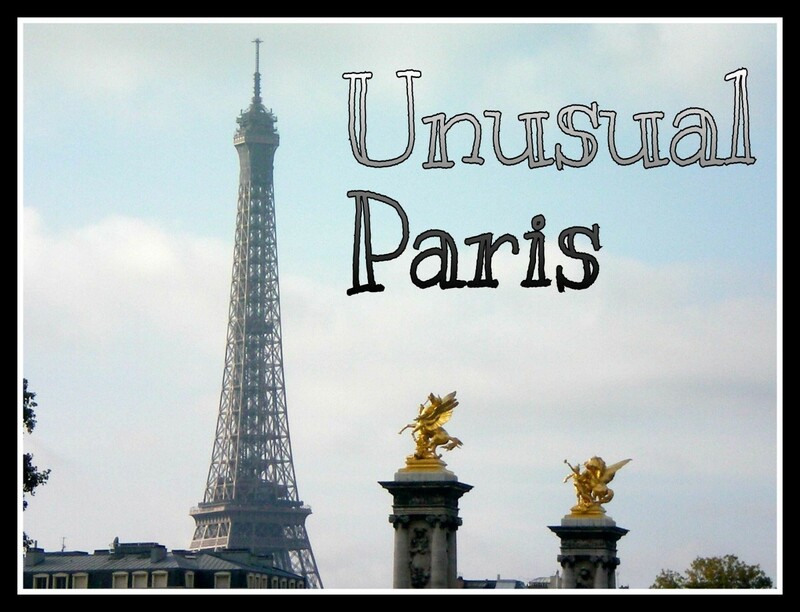 I could get lost in your descriptions, they are lovely and they accurately portray Paris. I visited with my oldest daughter in 2011 and plan on taking my second oldest this summer. Thank you for painting such a vivid picture, it brought back cherished memories. Thank you for taking the time to read my hub; I'm glad to have brought back memories for you. Loved this hub! It brought back such lovely memories from years gone by. I have taken a cruise down the Seine and it is truly magical. There is so much history in Paris and the buildings and places along the Seine are so fun to see and experience. 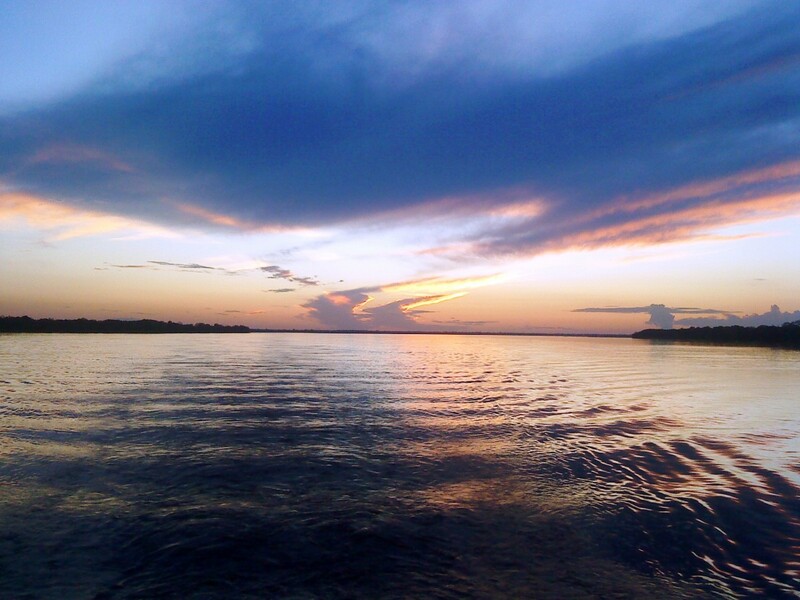 Thanks for sharing this with us and your photos are wonderful. Thank you Bk42author for your comments. Paris is a city you can easily fall in love with - I'm glad I brought back good memories for you - it's a city to visit any time of the year. Thank you for the enjoyable virtual tour. The descriptions are lovely. 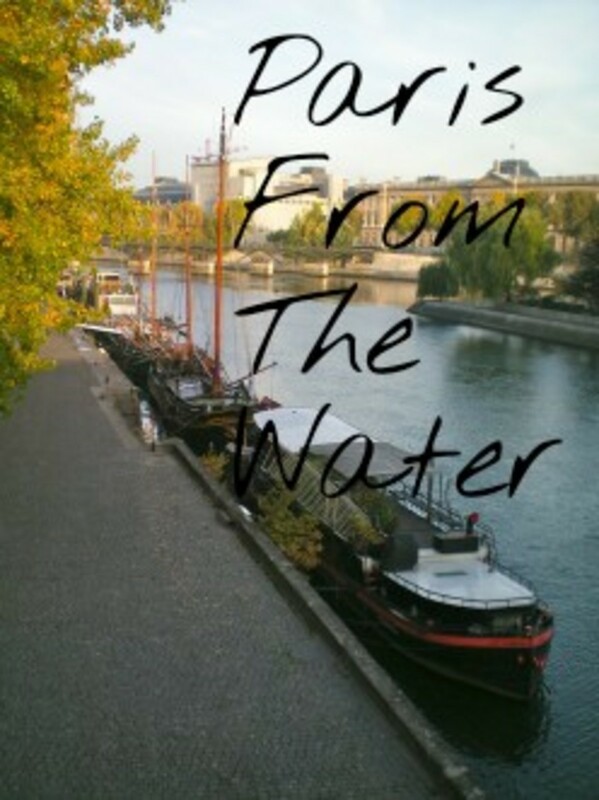 I've never been to Paris, so reading about your journey along the Seine was especially interesting for me. I love this hub! My husband and I went to Paris for tge first time over the summer and I am so in love with it. We did the boat tour and drank wine while sitting along the Seine, left a lock on the Love Lock bridge...you name it. 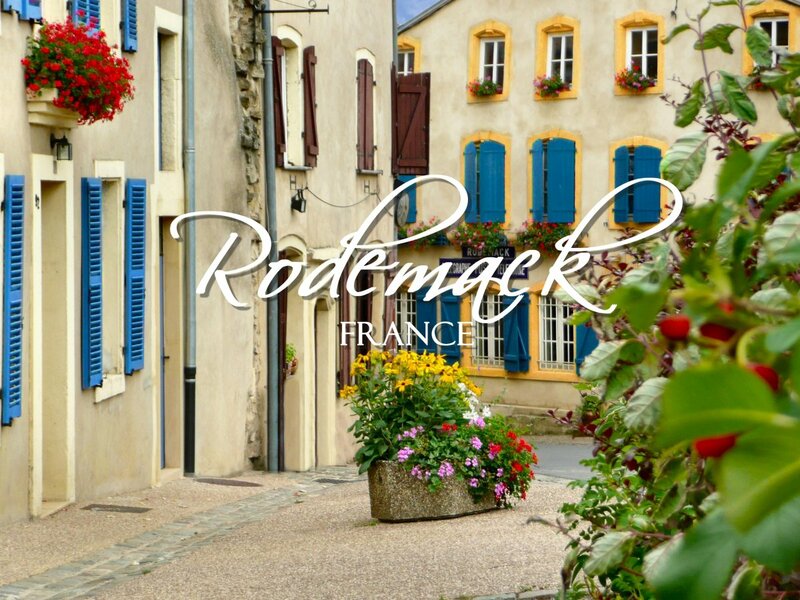 I would love to spend a few months there!Thank you for posting! Thanks for reading! Writing it made me want to get straight on a plane. This took me straight back to Paris - beautifully written, thanks!